Is there an alternative to braces on a child’s teeth? 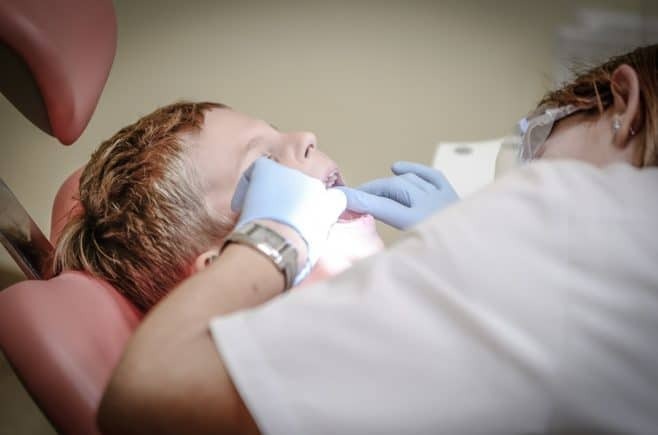 It’s not unusual for a child, or even sometimes an adult, to need braces on their teeth to help with alignment. The problem is that many traditional braces are made from metal and are not always the most comfortable or attractive thing to wear. There are different types of braces which are slightly less award to wear, but even so you may be wondering if there is any alternative to wearing braces on your teeth? We are going to take a look at what braces are and at Invisalign which is an alternative to the braces we are used to seeing. If you, or your child, need to have braces fitted hopefully this information will help you with your choices. What types of braces are there and what do they do? There are several different forms of traditional braces that can be fitted to teeth; they have evolved over the years. Most people will be familiar with the metal braces that many people wear at some point as they grow up. This type of braces can be worn at the back of the teeth as well as the front. The same type of braces can be constructed using less visible ceramic material instead of metal; it’s important to note that ceramic braces tend to break, and become damaged, more easily than metal ones. Obviously, these are all situations which need to be resolved and it’s often worth having to wear braces in order to achieve this resolution. There is now an alternative to wearing traditional braces; one which can also help with the alignment of teeth. Invisalign is a system which uses invisible teeth aligners as opposed to traditional braces. The aligners are not a permanent fixture; they are generally removed and replaced once a week. This type of alignment treatment can take months to successfully complete. There are several reasons why Invisalign can be a good option for anyone who needs to have their teeth straightened. The teeth aligners used are clear and not as obvious as traditional braces. Some people have sensitive mouths that do not tolerate metal very well. It’s easier to clean and floss your teeth when you use one of these aligners. These are all significant advantages to be had from using Invisalign. One thing it’s important to point out is that Invisalign braces are more expensive. This is mostly due to the fact that they are clearer than other braces and are therefore less obtrusive to the appearance of the person wearing them. If you, or your child, need to wear some sort of braces, you have to make a decision about whether it is worth paying the extra cost for Invisalign. Previous Post: « Whose Story Is This, Anyway?